This year's annual HML publication takes its theme from HML's 30th anniversary celebrations: "Breakthrough. Advance Together". The report summarises HML's activities and successes in the fiscal year 2017-18, highlighting important markers and accolades. "Breakthrough" includes the HK$30 million WiFi upgrade project, and the improvements being carried out on the intelligent building management system that are transforming the HKCEC into a truly 'Smart' venue. In "Advance Together", HML continues to extend our special collaborations with event organisers, and is committed to sharing the benefits of this success with our team, our customers, and the wider community. Cheers! 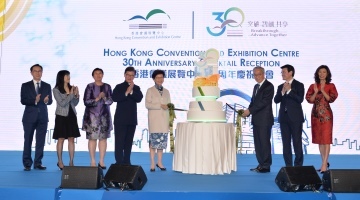 The HKCEC 30th anniversary celebrations reached their peak with a special cocktail reception held on 4 December 2018. 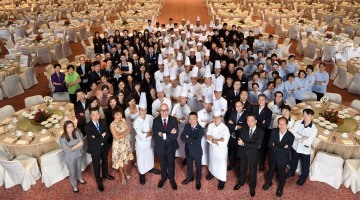 HKCEC's restaurants have long been recognised as among Hong Kong's very best. Now new leadership and a new structure are taking the 330-strong Food and Beverage team to even greater culinary heights. 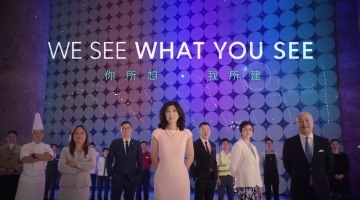 HML's new corporate video themed "Let the world see your world" portrays HKCEC is a place which can realise everyone's dreams, with the help and passion of the HML professional team who contribute to the success of the HKCEC.